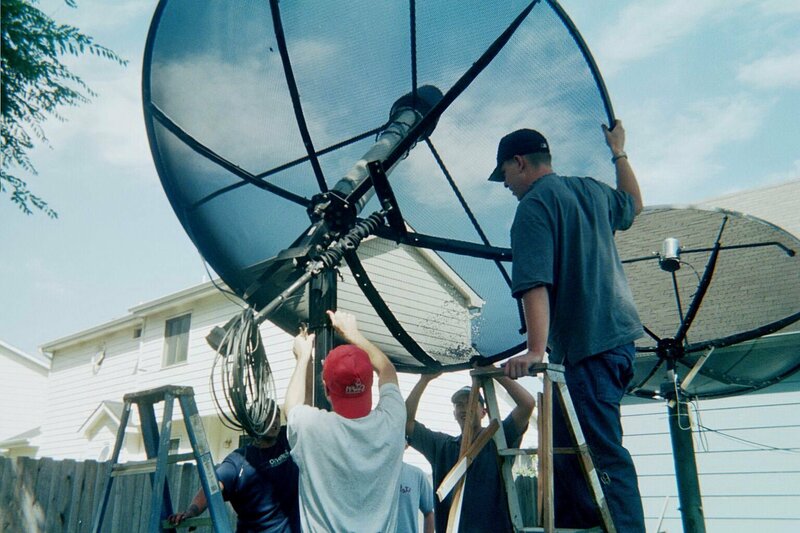 This array consists of two eight-foot diameter parabolic TVRO dishes, fed with cylindrical waveguide feedhorns and equipped with Radio Astronomy Supplies low-noise amplifiers. 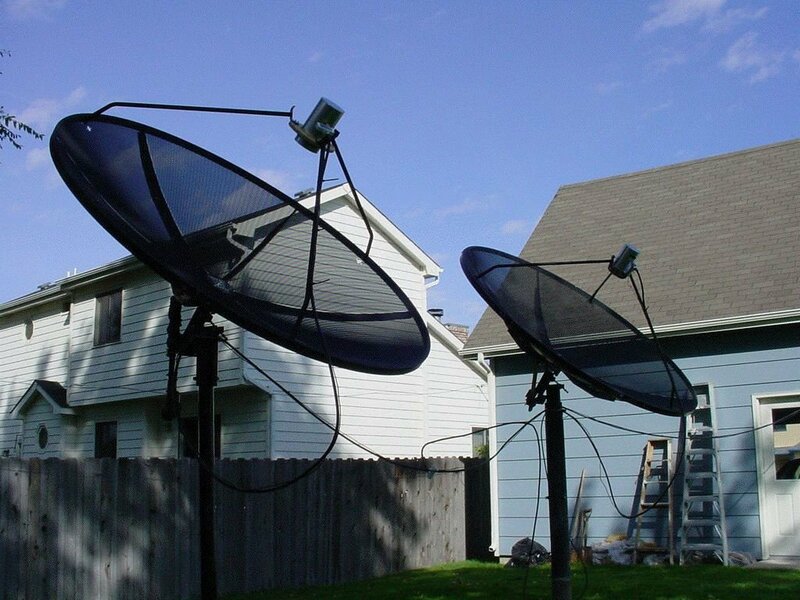 The system uses the pseudo-polar mounts that came with the satellite dishes. The antennas are positioned along an east - west baseline adjustable from 20 to 22 wavelenghts, approximately 4.2 meters from feedhorn to feedhorn. All astonomy observations will be drift scans, as the dishes require manual allignment. The two-dish interferometer under construction. 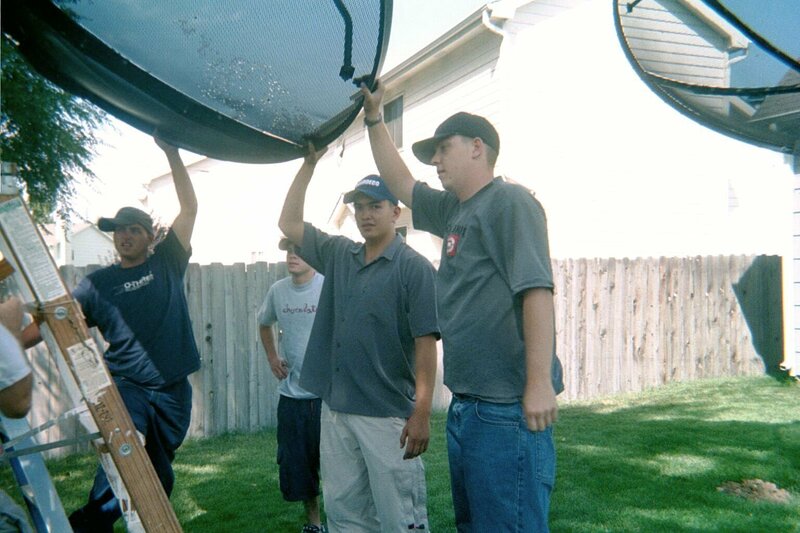 Howe emphasizes that mounting the dishes required the help of several strong teenagers. 420cm * .9992 ) * 57.3)). It is interesting to adjust the feed element of both of the dishes (rotate the feedhorns so the brass element inside the 'can' is 0 degrees from the north/south position) and to compare the polarization interferogram with the original. 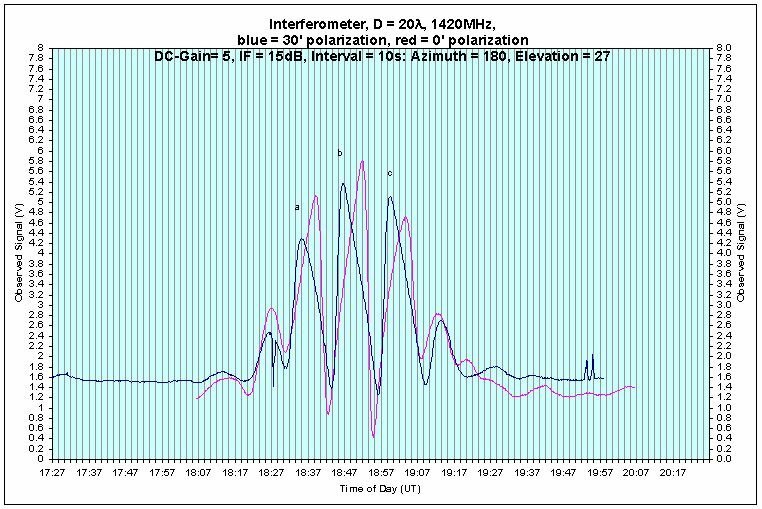 The original interferogram had the feed elements positioned at a 30 degree angle from true north/south. Compare this with the feed elements directly facing north/south or at 0 degrees. 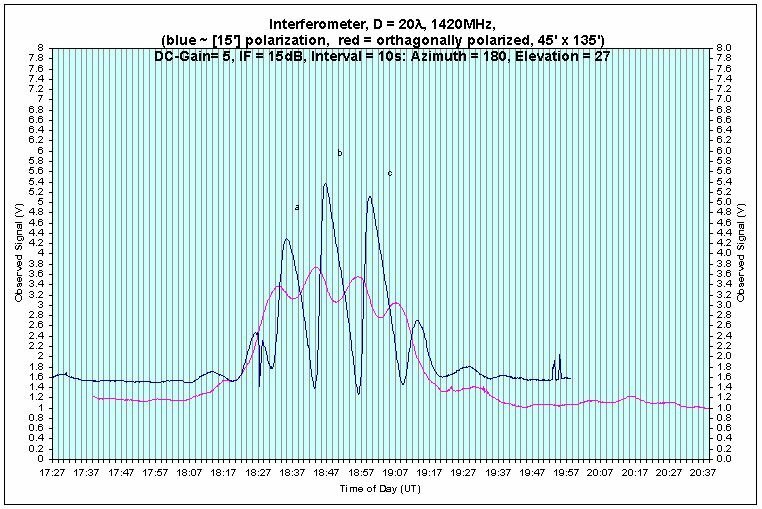 One feedhorn element is at 45 degrees from 0 (north/south), the other feedhorn element on the other dish is at 135 degrees from 0. 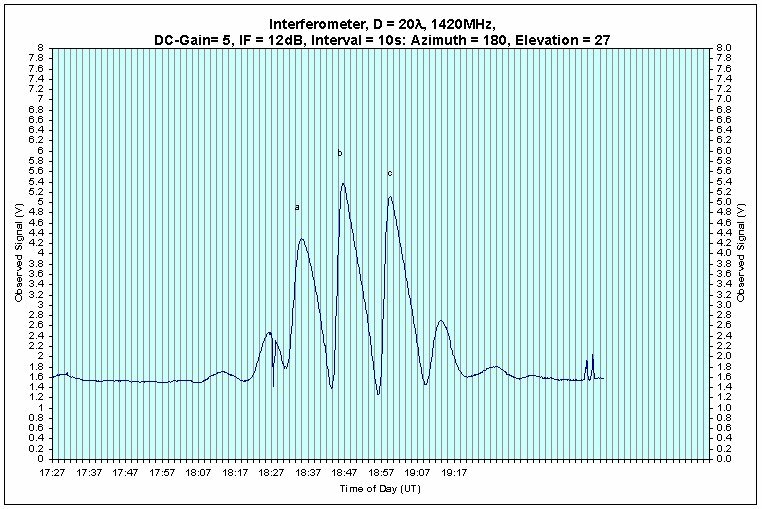 Compare this with the original interferogram where both feedhorn elements are at 30 degrees from 0. The fringes begin to dissappear, and get closer to what you would see with just one dish, a continum scan.